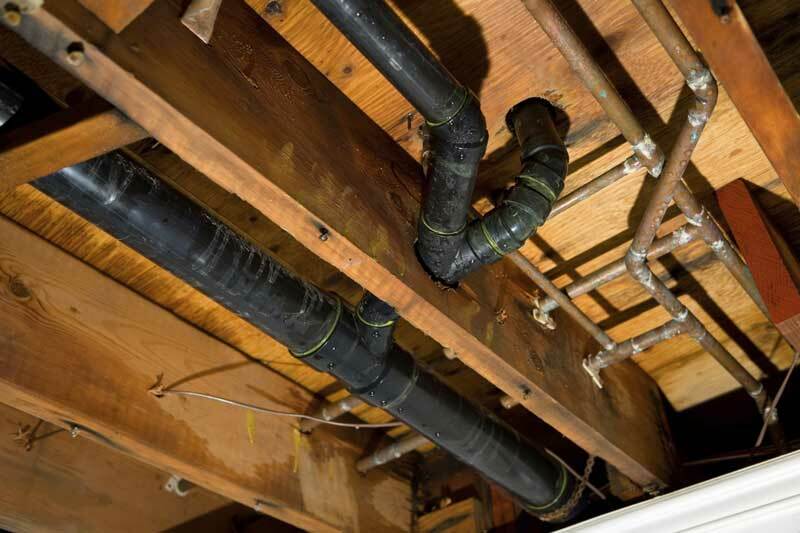 Plumbing problems are a common issue with old homes because galvanized pipes either get clogged or corroded. This issue is not only limited to the pipes in the house, but extends to the sewer lines as well. Galvinized pipes were used before the 1960s and should be replaced with copper or plastic. Old homes usually have a stale smell which is caused by mold that usually develops due to water leakage from pipes, walls or the roof. Hire professionals to tackle mold problems during construction — they can detect the source of the leakage and fix the problem. A lot of homes have the problem of dry rot which sometimes is not visible until the renovation work starts. This is because dry rot is actually a fungus that grows in wood that has been wet. The wood becomes crumbly and soft. Sometimes it appears to have white stains. Even if the original leak has been repaired, dry rot can continue to spread and damage more wood. If the wood in question is involved in structural support, this is not something you want to tackle yourself. Old houses were constructed in a way that did not allow proper grading for water runoff, which usually leads to mold in basements. Foundation problems can be detected from cracks on the floor, in the walls, and by sticky windows and doors. Electrical wiring in old homes can be a problem because the system back then was not well equipped to power modern day appliances. Also, the old wiring systems were usually not grounded. You can evaluate this by examining your outlets —two pronged outlets are not grounded—three pronged outlets are usually grounded. Old, brittle and faulty wiring can cause short circuits that can turn into a house fire. Have a professional renovation company check the wiring of your house. This may be a good time to update the wiring system, with a ground fault circuit interrupter, which cuts off power as soon problems are detected, before a fire. One of the leading problems of homes that were constructed at least 40 years ago is asbestos. It is a fire retardant product that was extensively used in earlier construction. It is found in HVAC system, flooring, insulations, duct work, and roofing. Asbestos isn’t harmful if it is in good condition. The trouble starts when it turns into powder (due to sawing, cutting, and scraping) that can be inhaled, as it causes severe lung damage. That is why it is imperative to have a professional abatement company detect and remove asbestos in your house. If the house you are renovating was built before 1978, there is a high chance that there is lead in the paint. Lead is released into the air when leaded paint is sanded or heated. The dust from chipped or peeled lead paint is very hazardous to pets and children as well as adults. Have a professional examine and test the house for lead before you start any. These issues are just the tip of the iceberg of why it is important to hire a professional contractor, such as Weston Construction, to assist you when you planning a home renovation. If you are considering a home renovation, give us a call. We’re happy to meet with you to discuss your project. You don’t have to turn into a frog to go green. Adopting eco-friendly ways not only improves your quality of living, but also helps the environment. If you are renovating your current home or building a new house, follow these tips to make your house greener. The advantage of using double or triple paned windows is that they have a layer in between the glass (often filled with gases) that acts to insulate, so there is less heat / cold moving through the window. 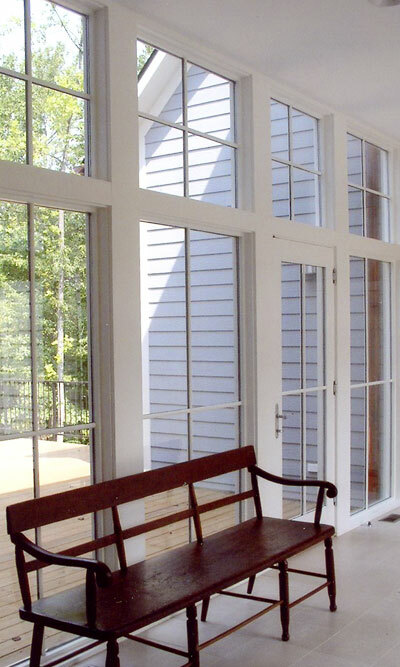 Low-E glass and windows filled with Argon gas can reduce heat loss up to 70% over single pane glass. This not only saves energy (money), but also keeps the interior temperature steady and more comfortable. The added benefit is it also has noise-reduction qualities. Adding insulation regulates the temperature of your home, but can also increases sound control between rooms and floors. There are several types of insulation to choose from. The most common is the type of fiberglass that comes in rolls or bats, and is easy to install. Another common type is a loose-fill blown-in insulation, often made of fiberglass, cellulose, or mineral wool. Cellulose is made of recycled newsprint, and most fiberglass contains some portion of recycled glass. Another option is a liquid foam insulation that is sprayed into the space and will expand, and then harden. We are not likely to run out of solar energy from the sun any time soon, which makes adding solar panels a great choice for going green. Replacing traditional energy sources with solar energy reduces your home’s green house gas emissions. But also helps reduce the money you pay to the power company. Dominion Power Company has a pilot program allowing homeowners with solar systems to sell the excess energy back into the grid for 5 years, which helps defray the initial solar panel installation cost. Installation of solar panels is getting easier and the cost continues to drop—making it an increasingly popular energy efficiency choice. Use reclaimed elements from older homes (called upcycling) such as old flooring, exposed wood beams, doors, architectural molding, etc. Recovering and reusing these gems is good for the planet by reducing material in landfills, but also gives your home unique character. There are many sources for finding these materials, including local businesses and national online matching services. In our area, there are lots of old barns and out buildings that can be sources of materials if you are ambitious and handy. Installing a programmable thermostat is a simple way to reduce energy usage when you’re not home. These thermostats are easy to install, and have timers to let you pre-set the temperature controls to suit your schedule, down to daily and hourly specifics. It also can automatically increase or decrease the temperatures during the night while you are sleeping. Making green choices in the construction of a new home or renovation can not only save you money by reducing your energy costs, but will also make you feel good by helping out the planet. Weston Construction is very experienced in green building techniques. We’d be happy to discuss options with you on your next construction project. Home remodeling projects can increase the value of your house, but knowing which projects return the most value can help you prioritize your wish list. Below are ideas and tips for home improvement that are popular and will improve the market value of your home. A Deck addition returns the greatest value among the major popular remodeling projects. 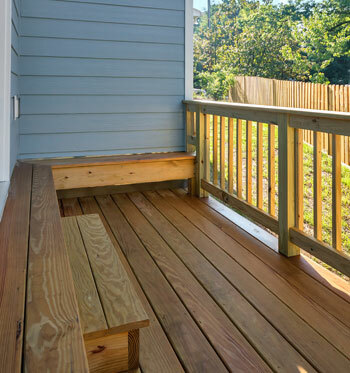 Owners can recoup nearly 80% of the investment at resale by adding a deck. It makes the house more aesthetically pleasing, increases outdoor living space and increases the value of the house. Decks made from wood have slightly better cost-value ratio than composite decks. But you also have to consider the maintenance on a composite deck is less time consuming and costly than wood. Try converting an already existing space into a bedroom. You can convert your basement into a new bedroom, or you can add a room above the garage that can be used as an apartment. Create an Attic Bedroom for the best for cost vs value, owners can recoup up to 77% of the cost at resale. Think of creative ways to use your new space. For example, an attic can be used as a TV or game room. A basement can be used as a playroom for your children. Renovation in the kitchen can pay off because it is such a centrally important part of the house. The payoff is expected to be 67 to 79% of the cost in increased value of the home. One of the most budget-efficient ways to give your kitchen a new look is to change its color. Ask your contractor to use environment-friendly low or no VOC (volatile organic compounds) paints that are free of harmful chemicals. Give your Kitchen a simple facelift by replacing old appliances with modern energy efficient ones. Since the appliances use less energy, your bills go down and you end up saving money. Remodeling the bathroom can recoup 60 to 72% of the initial investment (see last month’s blog post for the latest trends in bathroom remodeling). 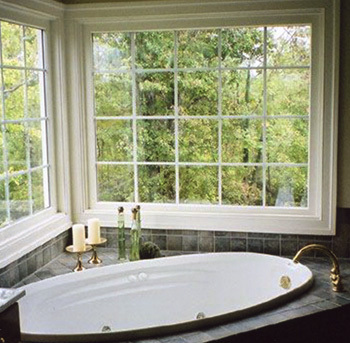 Look at unoccupied spaces in your house that can be turned into a bathroom. Consider the space you have versus the space needed before investing money. A bathroom with a bathtub and other accessories needs at least 35 square feet of space; a full bath needs 30 square feet; however a half bath needs only 18 square feet. Investing in good quality energy efficient windows can save you up to $500 per year in energy costs, and will recoup up to 78% of the cost in home value. Not only do windows save money, they are eco friendly as well. Think about it, the more you use natural sunlight to light your rooms the less you spend on electricity. Make sure you invest in energy efficient insulation. The initial cost is low, but can save you several hundred dollars per year in energy costs. In order to increase the value of the house, you need to add extra insulation, repair cracks, and look for air leaks around the house. One last tip is to replace old furnaces and air conditioners with new energy efficient ones. recoup) and Siding Replacement (up to 80% recoup). 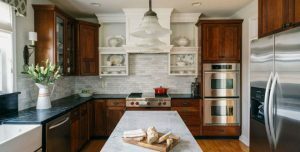 Valuation estimates for this article were for mid-range projects sourced from Remodeling Magazine’s Annual “Cost vs. Value Report”. 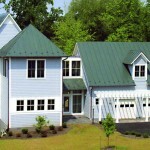 Weston Construction is a general contractor in Charlottesville, Virginia that can help with home remodeling projects to add value and enjoyment of your home. The Latest from Weston Construction . . .